Sofia Richie broke up with Scott Disick after being "fed up" with his on-and-off partying and following reports he had cheated on her, E! News has learned. The split took place on Friday and a day later, the 19-year-old model was photographed walking solo in Los Angeles, dressed casually in a white T-shirt, jeans and sunglasses and carrying a Macbook. Neither she nor Kourtney Kardashian's 35-year-old have commented on the breakup, which came after he was reported to have cheated on her and was also spotted getting cozy with a mystery blonde last week at Kanye West's album release party in Wyoming. "Sofia broke up with Scott after the pictures and rumors of his behavior in Wyoming were floating around," a source told E! News exclusively. "She couldn't take it anymore. Scott has been off the rails recently and is not in a good place. He goes in waves of partying really hard and then will have his good days and it's just very toxic behavior. It's very up and down." The source said Scott "has been drinking a lot." The reality star, who has battled substance abuse in the past and has been to rehab, has not commented. The source expressed optimism that the two will work things out, adding that Sofia "really loves Scott." 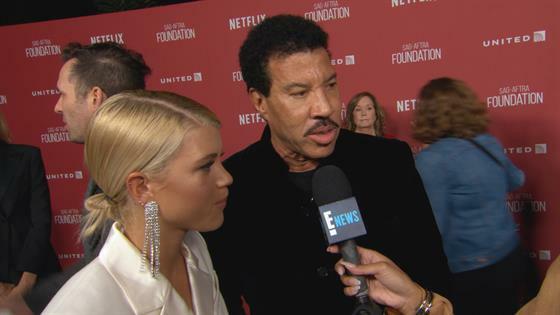 Sofia, daughter of Lionel Richie, and Scott had gone public with their relationship in September. They recently began talking about moving in together. They have often vacationed together, most recently in St. Barts. last week, to celebrate his 35th birthday. "Sofia was fed up and heavily influenced by friends and family, especially Lionel, to break it off," the source said. "Lionel has warned Sofia to get out while she can and move on." Another source had told E! News that Sofia felt she had no choice but to break up with Scott, as "she couldn't stand for being cheated on and being in such a toxic relationship." The source added that Scott appeared to be "unfazed by her decision" and didn't "seem to care too much." He has not commented.